How and when do they begin to say goodbye to the friends and teachers who have supported them over the past 4 years? What do they need to do to prepare themselves for leaving home? How do they want to spend their summer? What would they like to say to their parents before moving out of their home and into an autonomous life? A proper transition makes for a better college experience. Preparing ahead helps everyone to make this important transition with eyes wide open. I have seen a number of teens going through the motions of leaving home because everyone else was, even though they weren’t ready. As you can imagine, this resulted in their return. My suggestion is to start talking about the college transition before the school year ends. Visualize what it might be like to live away from home. Talk about the things that parents will no longer be doing (like waking them up for school and reminding them of homework). It could be helpful, send your teen in to spend a couple sessions with me to wrap their head around the changes that are coming, and think together with me about how they are feeling about completing high school and leaving home. 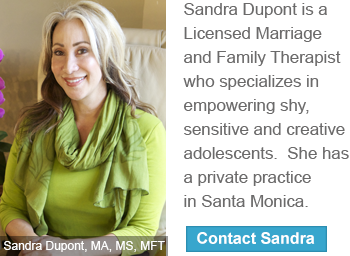 I offer a FREE Initial Parent Consultation to confirm that I am a good match for your family. During this time, I will do a thorough assessment of the situation to give you my most helpful recommendations. You will get an immediate and direct experience of the value I provide.